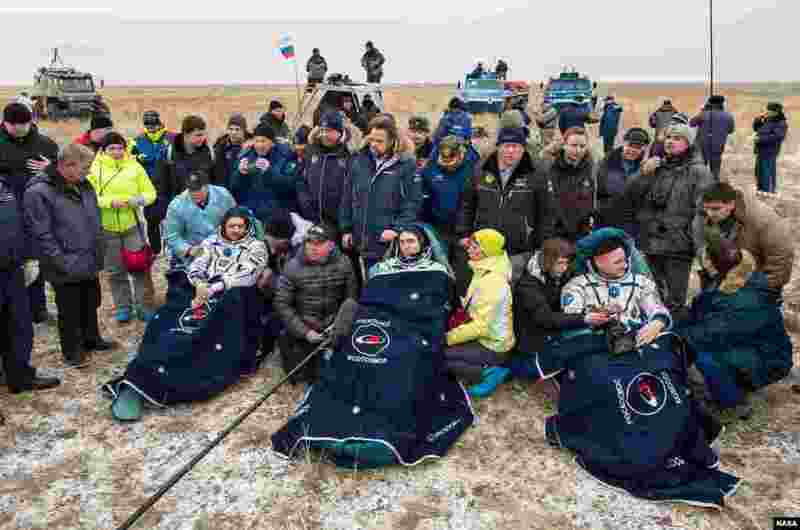 ١ Russian cosmonauts Mikhail Kornienko, left, Sergey Volkov of Roscosmos, center, and Expedition 46 Commander Scott Kelly of NASA, rest in chairs outside of the Soyuz TMA-18M spacecraft just minutes after they landed in a remote area near the town of Zhezkazgan, Kazakhstan. 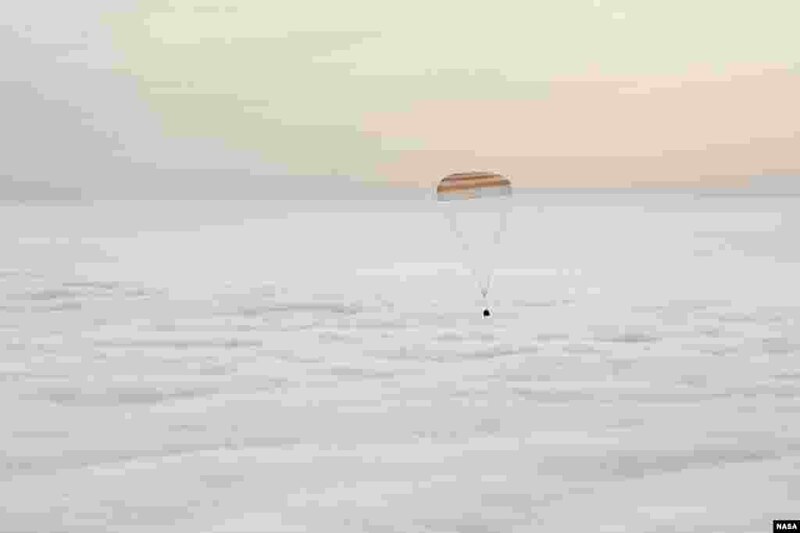 ٢ The Soyuz TMA-18M spacecraft is seen as it lands with Expedition 46 Commander Scott Kelly of NASA and Russian cosmonauts Mikhail Kornienko and Sergey Volkov of Roscosmos near the town of Zhezkazgan, Kazakhstan. 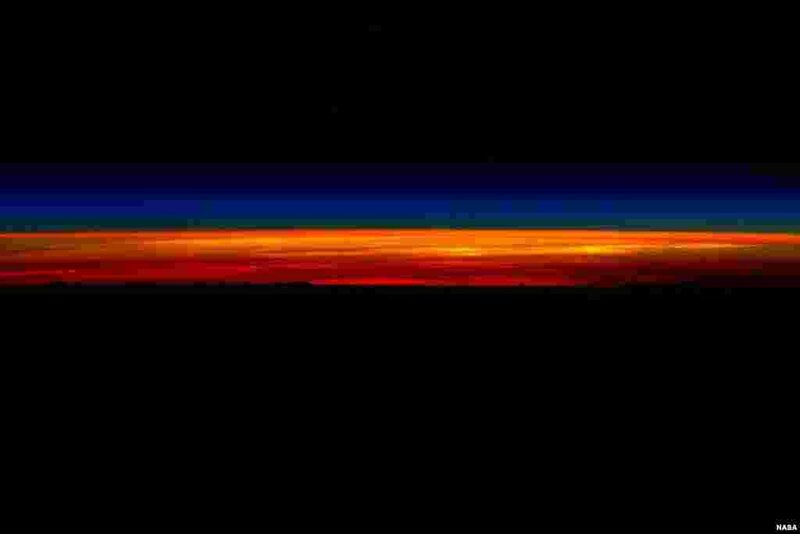 ٣ NASA astronaut Scott Kelly shared a series of sunrise photographs with his social media followers, March 1, 2016, as he prepared to depart the International Space Station and return to Earth aboard a Soyuz TMA-18M spacecraft. Posting this first image, Kelly wrote, "Rise and shine! My last #sunrise from space then I gotta go! 1 of 5. #GoodMorning from @space_station! 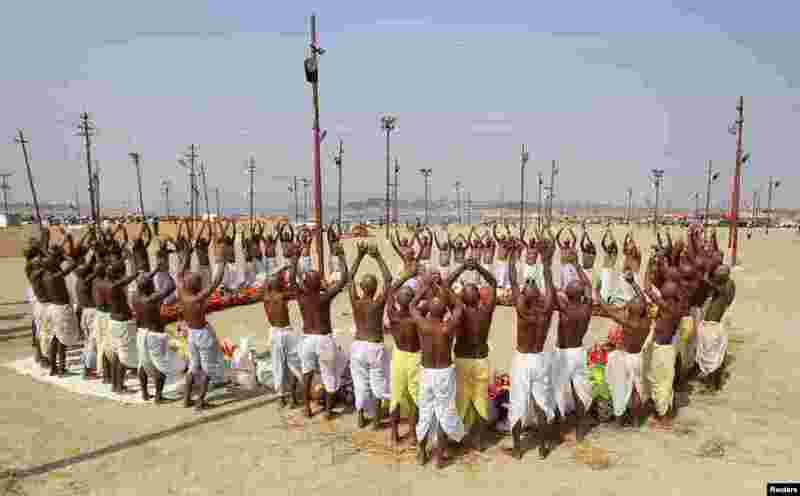 #YearInSpace"
٤ Hindu devotees offer prayers next to the Sangam, the confluence of the rivers Ganges, Yamuna and the mythical Saraswati, ahead of Maha Shivratri festival in the northern Indian city of Allahabad.